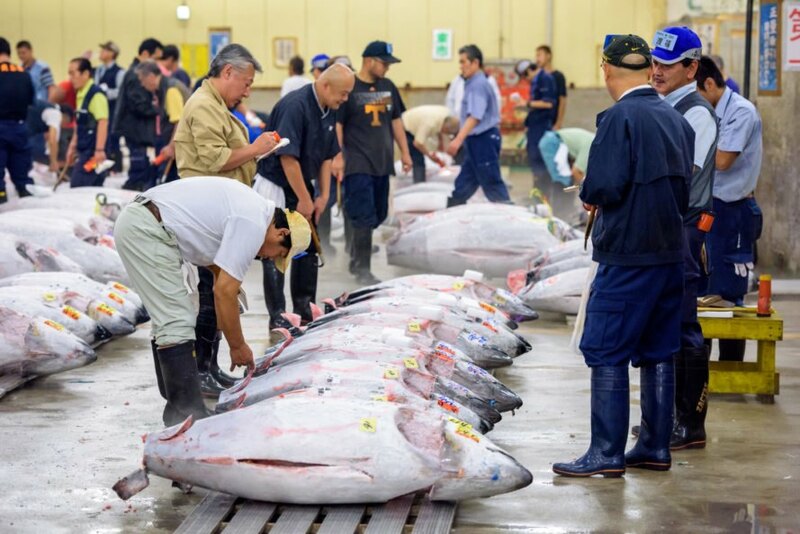 A recent predawn auction at Tokyo’s new fish market brought a record-breaking bid for the endangered bluefin tuna. Sushi tycoon Kiyoshi Kimura, who owns the Sushi Zanmai chain, paid $3.1 million for the enormous fish, more than double the price from five years ago. The 612-pound (278 kg) tuna was caught off Japan’s northern coast, and the auction prices this year are way above normal. Normally, bluefin tuna sells for about $40 a pound, but the price has recently skyrocketed to over $200 a pound, especially for the prized catches that come from Oma in northern Japan. The biggest consumers of the bluefin tuna are the Japanese, and the surging consumption of the fish has led to overfishing which could result in the species facing possible extinction. Stocks of Pacific bluefin have plummeted 96 percent from pre-industrial levels. However, there have been some signs of progress when it comes to protecting the bluefin. Japan and other governments have endorsed plans to rebuild the stocks of Pacific bluefin, and the goal is to reach 20 percent of historic levels by 2034. Last year’s auction was the last at the world famous Tsukiji fish market. This year, it shifted to a new facility which is located on a former gas plant site in Tokyo Bay. The move would have happened sooner, but was delayed repeatedly over concerns of soil contamination.